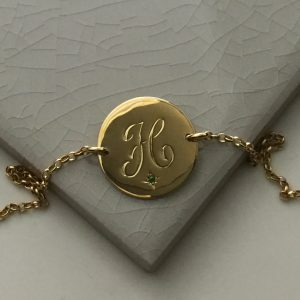 April Diamond Initial Bracelet is known to bring victory, superior strength, fortitude and courage to its wearer. 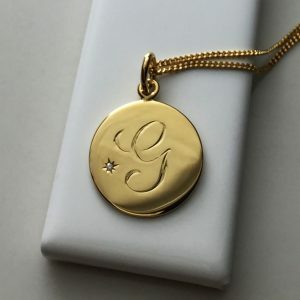 The Diamond is the birthstone for those oh so lucky April babies. The Diamond has been known since antiquity as a “Stone of Invincibility” as well as a symbol of eternal love. Wearing diamonds is believed to bring other benefits such as balance, clarity and abundance. The word Diamond was adopted from the Greek work “adamas,” meaning invincible. Ancient theories about the magical powers of Diamonds believe that Diamonds were the tears of God, while some thought lightning bolts formed diamonds. 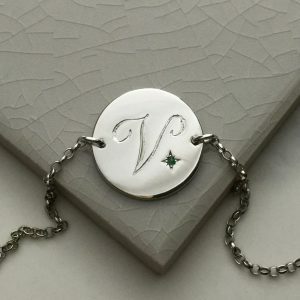 April Diamond Initial Bracelet is hand engraved with a scrolled initial, each piece is embellished with a little ‘brilliant’ cut sparkly Diamond in a Victoriana star style setting. 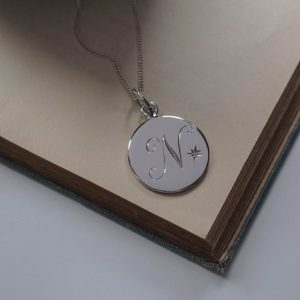 April Diamond Initial Bracelet is the perfect personalised necklace for that all important person in your life. Show them just how much they mean to you. Read more about the inspiration and symbolism of the April Diamond Birthstone on our blog. 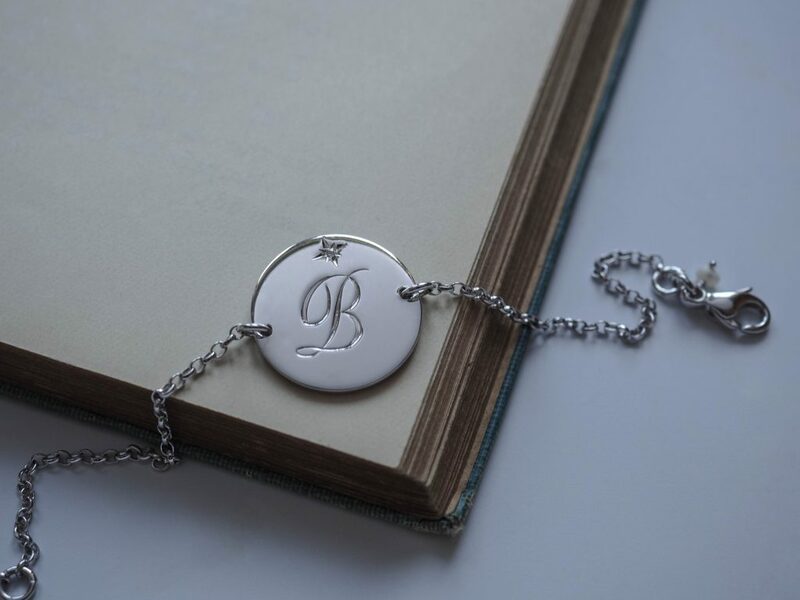 Your April Diamond Initial Bracelet is hand-made with love and care in London. 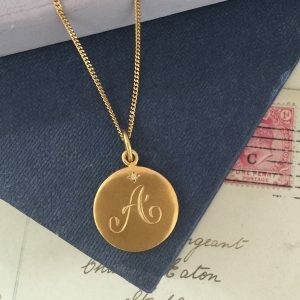 This April Diamond Initial bracelet is available in either Sterling Silver or 18ct Yellow Gold Vermeil. 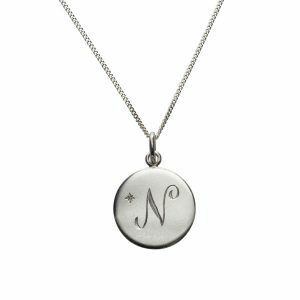 Birthstone Initial Charm measures approximately 1.8cm by 1.8cm. Depth of 1.3mm. 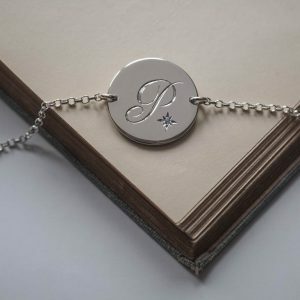 Your April Diamond Initial Bracelet is made from pretty round belcher chain with a hand-tied Freshwater pearl by clasp. 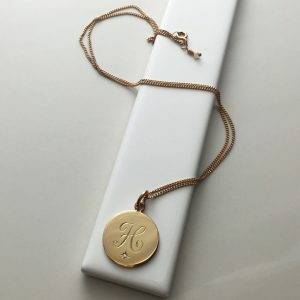 We love gift giving – please view the packaging tab above for more on how we will package your April Diamond Initial Bracelet.